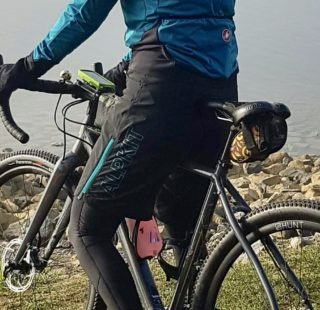 In general, I think it is fair to say that adventure cyclists pretty much adopt the riding attire of the road cyclist. 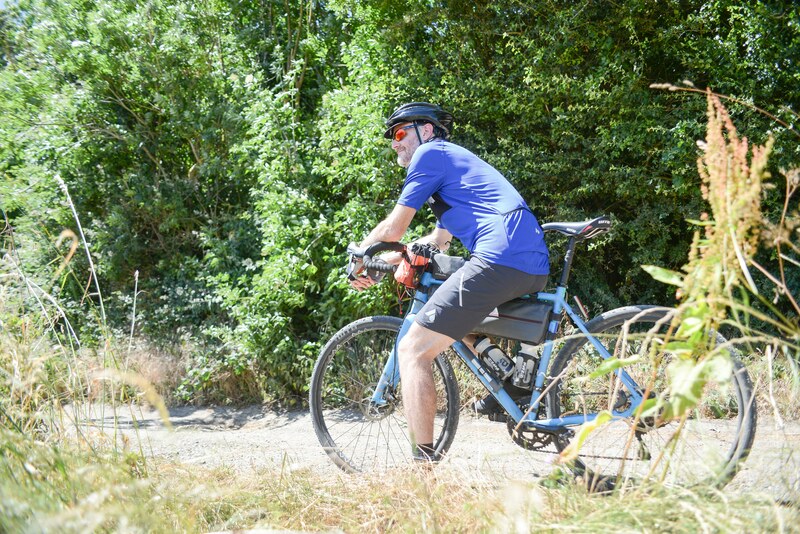 Bibshorts are comfortable, allow unrestricted movement and are lightweight. 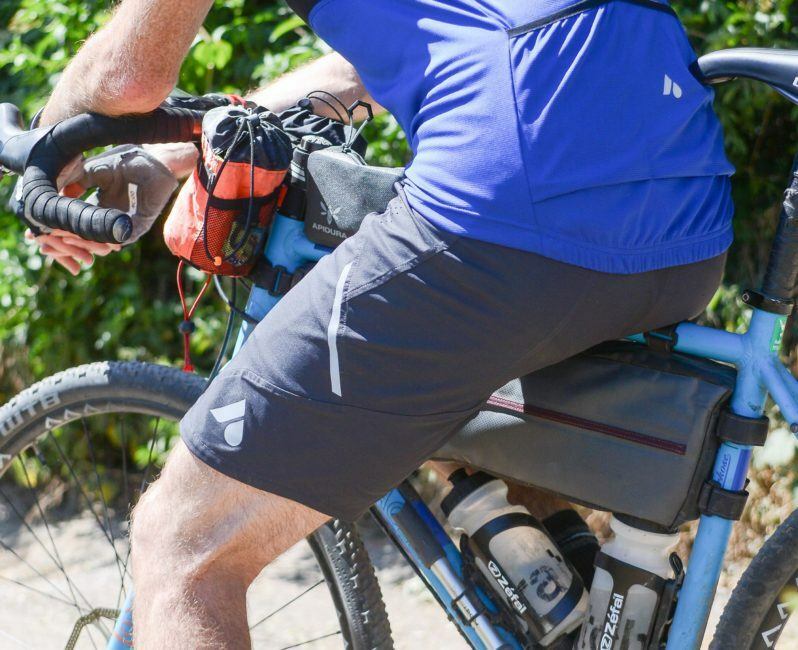 Baggy and MTB trail shorts are generally overlooked by most riders as impractical and uncomfortable. They are however, ideal if you need a hard wearing and durable clothing option. They are also handy if you simply want to be a little more modest at the cafe stop! Enter stage left: the Aussie Grit Apparel Flint Shorts. Aussie Grit Apparel Flint Shorts. 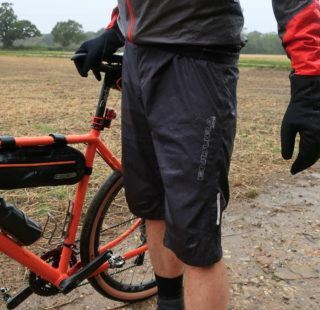 I’ve ridden in baggy MTB shorts before and it’s not something I’m in any rush to revisit. Flappy fabric billowing about, a saggy waistband slowly dropping to afford your riding buddies a flash of builders bum. It isn’t a good look! So, when I was tasked with trying out the new Flint Bike Shorts from Aussie Grit Apparel, let’s just say I wasn’t over enthusiastic. A better class of short! 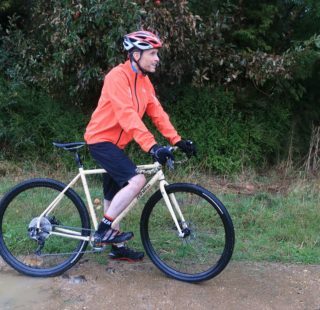 In common with the somewhat muted (charcoal and black) theme of the Aussie Grit Thermal Gilet we reviewed earlier, these shorts are subtle and understated. If you prefer lurid, fluro, baggies, then you’ll be disappointed. 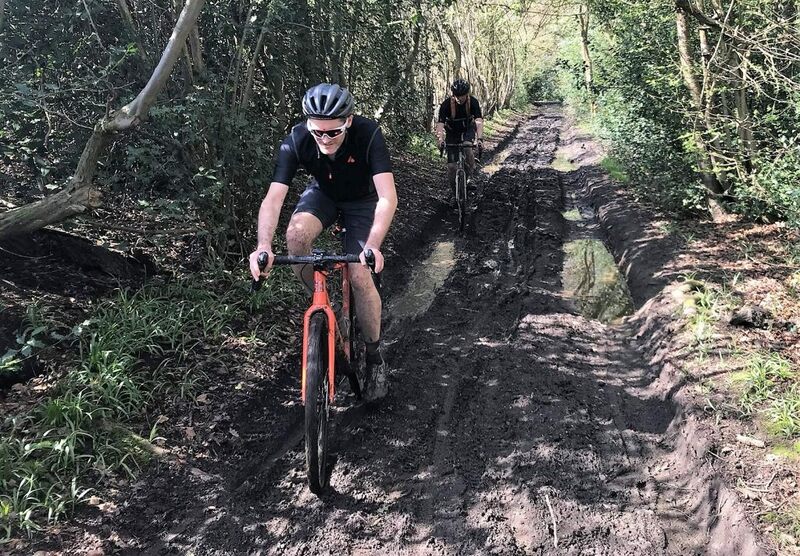 For everyone else, you’ll be relieved to find a mountain biking garment that doesn’t make you look like someone who still considers the shell-suit to be the height of sartorial elegance. Some might find the length too short, but we found it was just right for long days in the saddle. Looks aside, the first thing to catch your attention is the liner. Many shorts come with detachable liners. Not so the Flint shorts which (completely) integrate a road-style lycra short with a quality Elastic Interface pad for all day comfort. A high, elasticated, band on the internal liner keeps them snug around your waist. It can be adjusted by a toggle on the front which has it’s own little pocket to keep it out of harms way while riding. A simple, but well thought out detail that shows Aussie Grit’s designers spend proper time in the saddle. Pull on the shorts and you’ll be in for another surprise… They are not baggy! If you’ve ever watched any XC World Cup events, you may have spotted the Cannondale Factory Racing Team riders wearing a very slim fitting baggy short. Think of that and you’ll get the idea. Freedom of movement is good and the short does not flap about on your knees like some baggys. 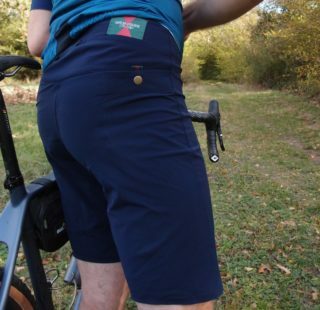 The best thing I can say about the Flint shorts is that I don’t notice them when riding. No flapping, rustling or catching – things that have always infuriated me about baggies. If you need to get over the back of the saddle, these shorts aren’t going to snag on the nose and get you tangled up. The Elastic Interface pad gives your derrière nothing to complain about either. It is divided into four specific pieces, each with a different thickness or density. The pad is designed for rides of 7 hours plus! 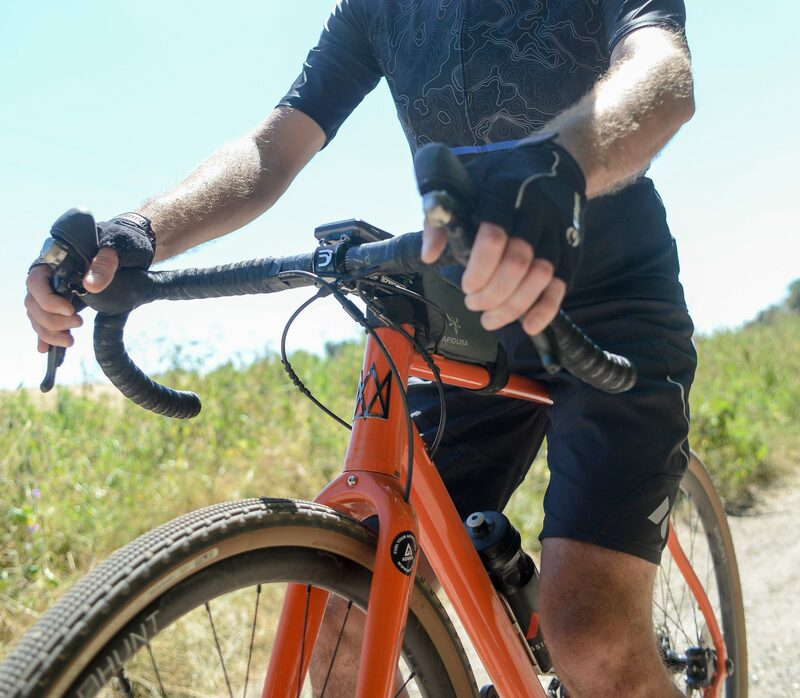 Crucially, despite this classification, we’ve found the Flint shorts to be comfortable for shorter 50-100km rides as well as all day outings. Testing has taken place in a variety of weather conditions. Despite being essentially two pairs of shorts in one, heat and moisture build up is not an issue. Judicious use of laser perforations of the shell fabric on the hips and inner thigh areas, provide ventilation keeping you cool and dry. The shorts also boast a DWR (Durable Water Repellent) coating. Repeated washings during testing haven’t diminished that DWR finish and spray from puddles still beads nicely on the fabric. The slim fit of the short means flapping is non-existent and you can just get on with riding. Whatever the conditions. Negatives? Very few. Coming from a fully paid up Lycra Lout, that’s praise indeed. With gravity and a head down, arse up, position on the drops, the shorts inevitably start to slip. All it would take to help prevent this is some silicone gripper on the waistband. Additionally, grippers on the legs would stop the inner liner from riding up – useful to help hold up leg warmers too! Otherwise, these are, hands down, the best pair of trail shorts I have ever ridden in. At £149, these are very much a premium trail short. You will however, struggle to find another to match the features and comfort of the Aussie Grit Flint shorts. The pad alone is a significant part of that cost, which should give you an indication of the comfort of these shorts. 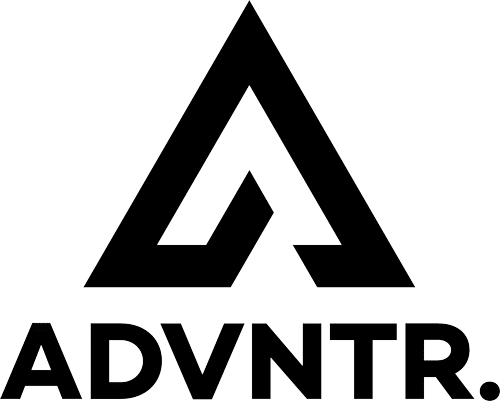 Comfortable, durable and versatile. What more do you want? As baggy shorts go, you'll struggle to find a more comfortable pair than these.